As we all know in today’s business world it has become necessary to use social media to grow your brand. It is a form of advertising that can be more effective and engaging than traditional methods such as newspaper and TV ads and often it has almost zero cost, but it poses an ever changing set of challenges. Don’t just get your message across. Have funny pictures that show your business is made up of real people that like to enjoy themselves. Show the world that you have a sense of humor. This is a subtle tactic, but rest assured, the better you are at creating a positive and fun image to go along with your brand, the more success you’ll achieve. The advice I frequently give clients is to reset their expectations. The social media world won’t likely rush to your door to see your new fangled widget right away. You are competing with businesses of all sizes and backgrounds that are vying for attention within a sea of personal content on social networks. This creates a lot of noise. Your strategy should focus on long term community development with emphasis on understanding the interests of your growing follower base prior to injecting brand messaging. Spikes of viral exposure should be viewed as a bonus. Do you like ads cluttering up your social feeds? No! Right? The key to unlocking the power of Instagram emerges at the point where you strike a balance between posting fun and entertaining content that resonates with your followers while delivering your brand messaging. I can’t stress this prioritization enough. Entertain and learn the interests of your follower base first, brand messaging second. Make sure to attach/link your Instagram account to your Facebook, Twitter, and other social media outlets. Developing cross-connected follower interest is the best way to convey your messaging to ultimately source new customers and build long term brand loyalty. You will undoubtedly find that your messaging may drive more followers on one account while generating more engagement on a different account. The key is to find ways to adjust your messaging on each social account to increase both followers and engagement. The great thing about social media is that it isn’t a one way street; you can reach out to your followers as they reach out to you. Follow the people who follow you and make time to comment on their photos, comments, and feedback. This will create a feeling that your brand isn’t just some faceless entity but a group of real people that can be interacted with. Get your followers to post pictures related to your brand. Have contests like best photo for such and such advertising plan will get free products. Say, for example, you are launching a new line of products; have your followers come up with the new logo. It is this form of interaction that makes social media so powerful. In a sense your customers become part of your brand. This is perhaps the simplest but most important of all. The reality is that you’re marketing a brand not a person; you can’t expect people to follow you en-masse unless there is something in it for them. Giveaways are a great tool to drive engagement and interest. For example, randomly select a certain number of your followers every month and give them a prize, or provide a special giveaway that only followers can obtain. Make it feel like you are rewarding your most loyal customers; this will also encourage others to follow your brand. If possible connect with related businesses. For example someone you sell to that uses your product as part of their business; use hashtags to connect. 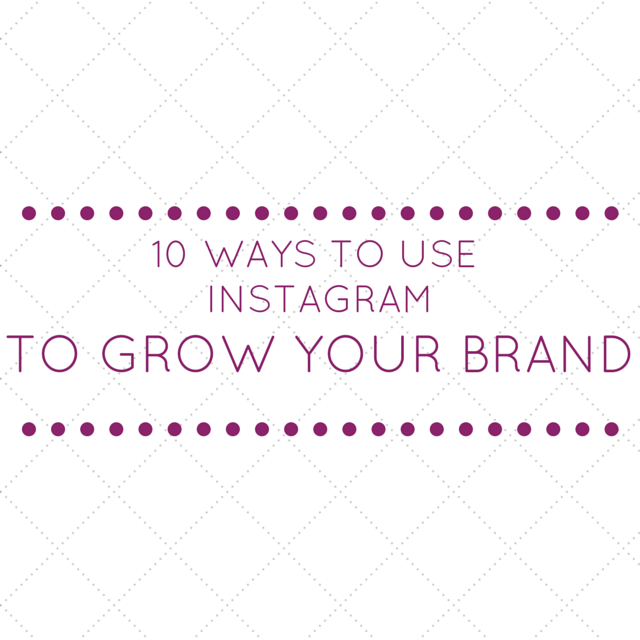 This way, you can use Instagram as a form of mingling and idea exchange. Make sure to take photos and celebrate important things like one year anniversaries of the first product you sold, or events conducted by your company. Make your followers feel like they are involved in a story or a journey. The goal of social media is to interact in a meaningful way; become part of your follower’s lives as they become part of yours. The best part about social media is that people expect you to relate your feelings. Say you are proud of your brand, business, and employees. Showcase your employees and what others have to say about your business; show emotion. Along with being fun, just be funny; tell jokes. Not much helps lighten people’s days more than a good joke. On Instagram I find that entertaining content is by far the most engaging tactic.